To apply for membership: Please download, print, and complete the application above. There shall be one type of general voting membership, open to all persons eighteen years of age and older who are in good standing with the American Kennel Club and who will subscribe to the purposes of this club. 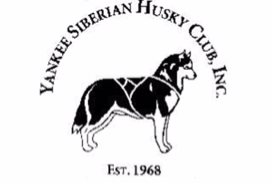 While membership is to be unrestricted as to residence, the Clubs primary purpose is to be representative of the interested Siberian Husky owners, breeders, and exhibitors in its immediate area. 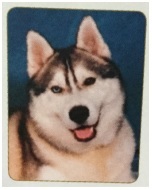 ​Voting members are required to have participation in the Siberian Husky breed. There shall be a non voting: Associate Membership available to those who live out of the immediate area, or to those who are unable to attend regular meetings and activities. Associate members are not eligible for election to any office or to the Board of Director of the Club and are not eligible for annual club awards. There shall be a non voting: Junior Membership available to persons ten to eighteen years of age, proposed to membership by an adult member. Junior memberships shall convert automatically to voting membership upon the age of eighteen. Junior members are not eligible for election to any office or to the Board of Directors to the Club.